Nothing beats parent supervision. Proactive parent supervision is your most important tool in drowning prevention. When using the pool, active supervision means sitting close to the pool with your full attention on the child/children — no reading, no texting, just watching the pool. At parties/events, we recommend designating a person as a Water Watcher (we offer lanyards and whistles to give to the person to denote them), and change shifts every 15 minutes. Most drownings occur, though, when the child was thought to be in the house, nowhere near the pool area. In 67% of fatal drowning cases, a parent was responsible for supervising the child. So, supervision can and does fail, and that’s why you need additional layers of protection. 2. High locks on all doors and windows. Locks out of the reach of children should be installed, and used, on every door and window that leads to the pool area. Lots of drownings happen because a parent didn’t know that the child had figured out the door knob, so don’t rely on the door being shut. Also, close up and doggy/pet doors that access the pool. Lots of children who drown got to the pool via a doggy door. Pool fencing is the only layer of protection that physically isolates the backyard from the pool. Fences should be at least 4′ tall and have a self-closing, self-latching gate. Mesh pool safety fence, like Life Saver Pool Fence, has proven to be an effective layer of protection for over 45 years. It’s very transparent, aesthetically pleasing, and easy to remove when entertaining only adults. Drowning is silent. Alarms break that silence. There are door/window alarms, alarms that sit in the pool, and our favorite, the Safety Turtle which is worn on the child. If the child falls into the pool, an alarm inside that house goes off. 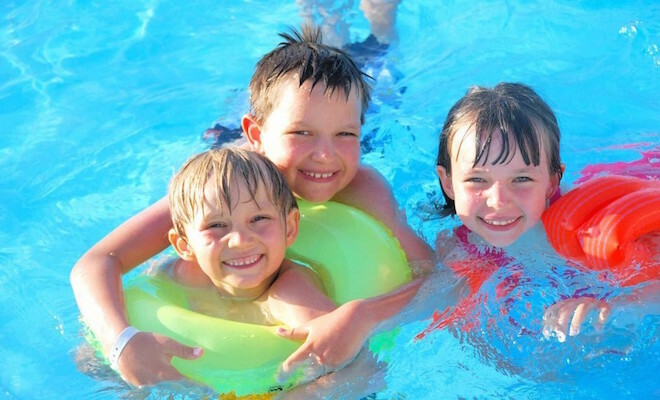 All children should receive swimming lessons as early as their parents and pediatricians feel comfortable. Swimming lessons can begin earlier than one might think, some organizations training even infants to roll over and float, and to swim to the edge of the pool in the event that they fall in. And if all of the other layers of protection fail, parents should be trained in CPR. Knowledge of CPR can make the difference between life, permanent disability, and death.